THE ART OF MAKING MONEY PLENTY Danish Bikes, Buses, and Subways! 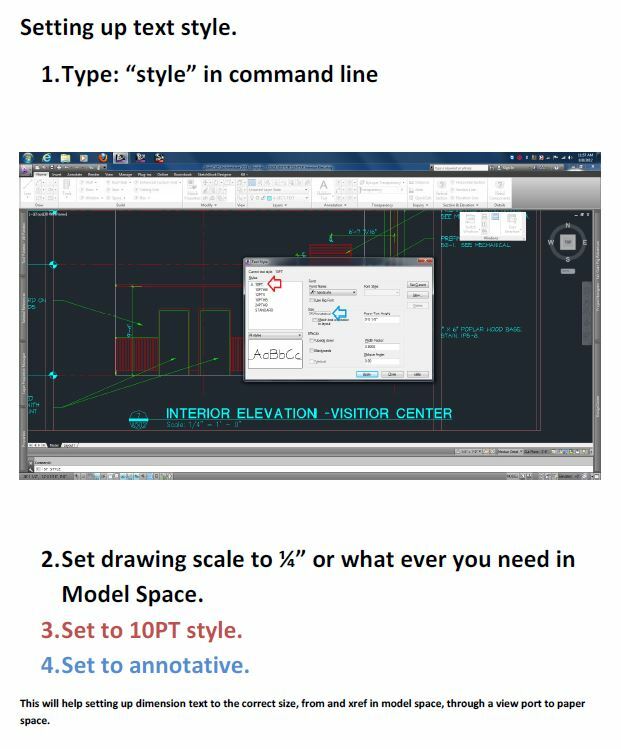 What they usually don’t teach in Architecture school or Autocad classes is how architects use Autocad to make construction documents. There is a lot to it, even with a simple building. 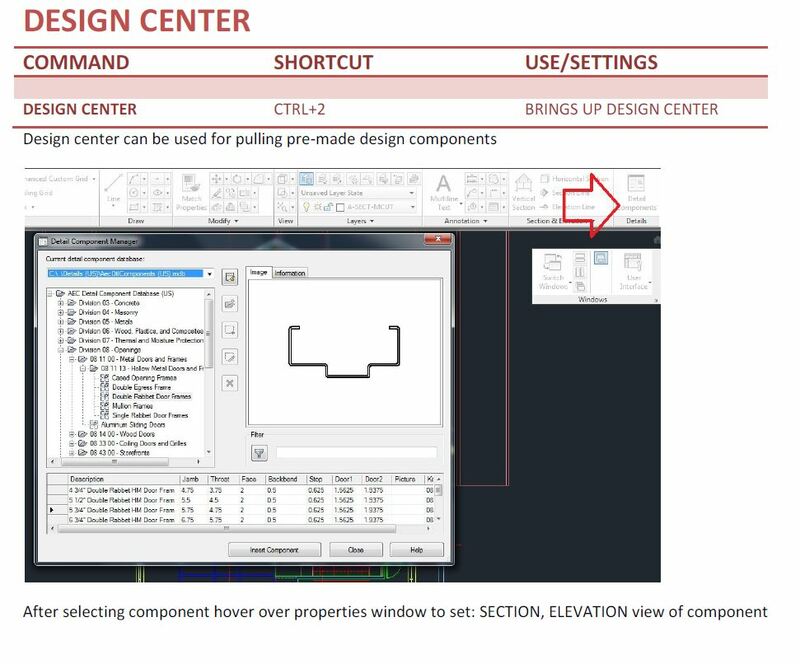 Most college courses in autocad have you make a single building, but they don’t really teach Xrefs or layer naming. They kinda gloss over that, just to get the basics covered. 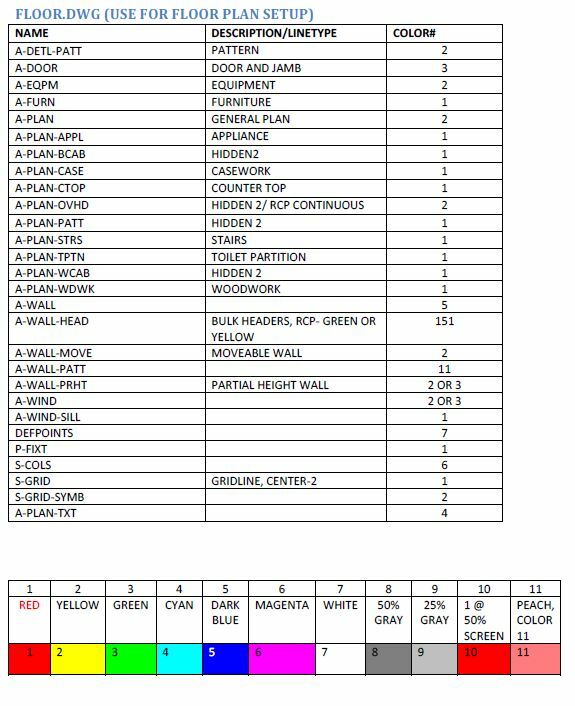 So a lot of architectural interns hat doesn’t help you with is making a precise set of construction documents, this process becomes even more complicated when you have to integrate several documents, say from an existing building, into a set of drawings. So as you can see from the diagram below, you start with the basics and move to more and more knowledge of the program. 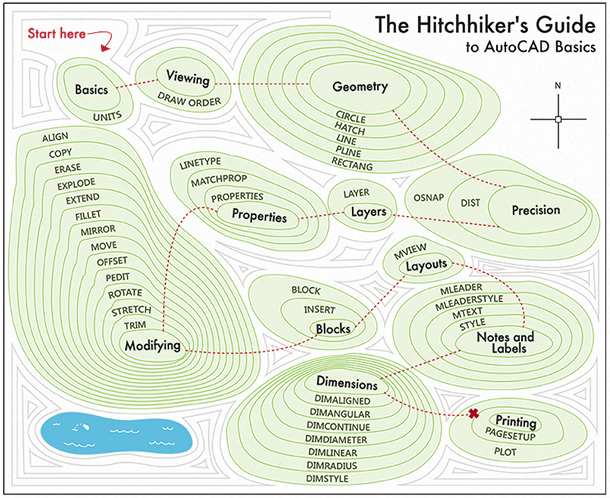 Do kind know how to use Autocad? Do you already know how to draw a line? Good! 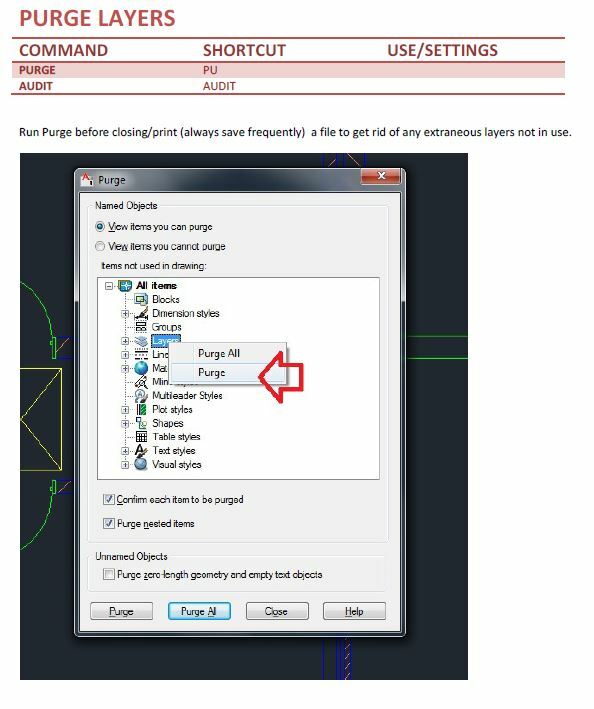 Because this guide doesn’t tell you anything that you should basically should know or anything like that, its more of a review of strategy when making construction documents in Autocad. 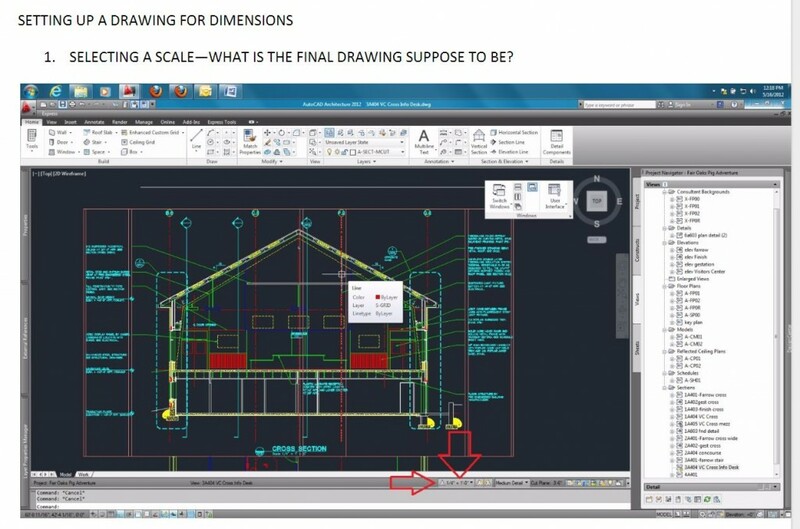 So we will not be covering the Basics.–usually what you will be taught in a basic Autocad course, maybe some commands that will allow you to complete certain exercises. 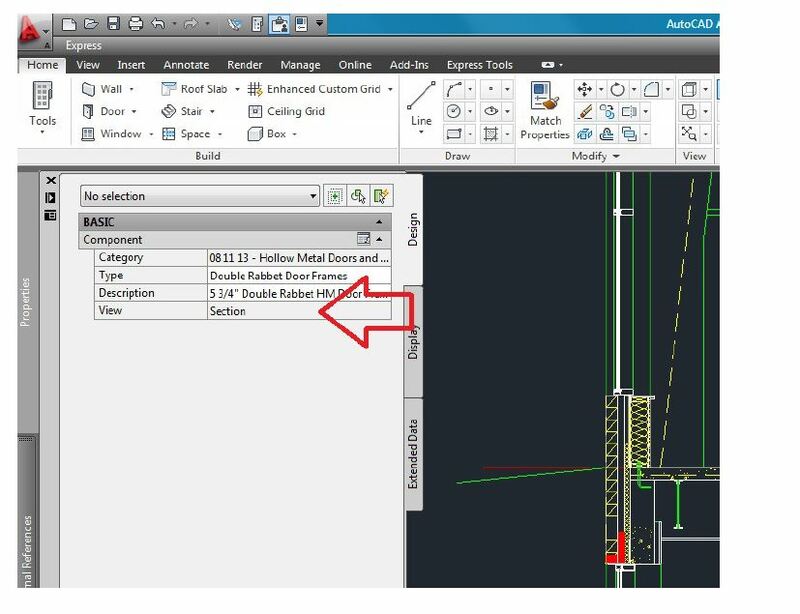 Here is a great tutorial for beginners how to use Autocad, but again, I will concentrate on the strategy assembling construction documents. 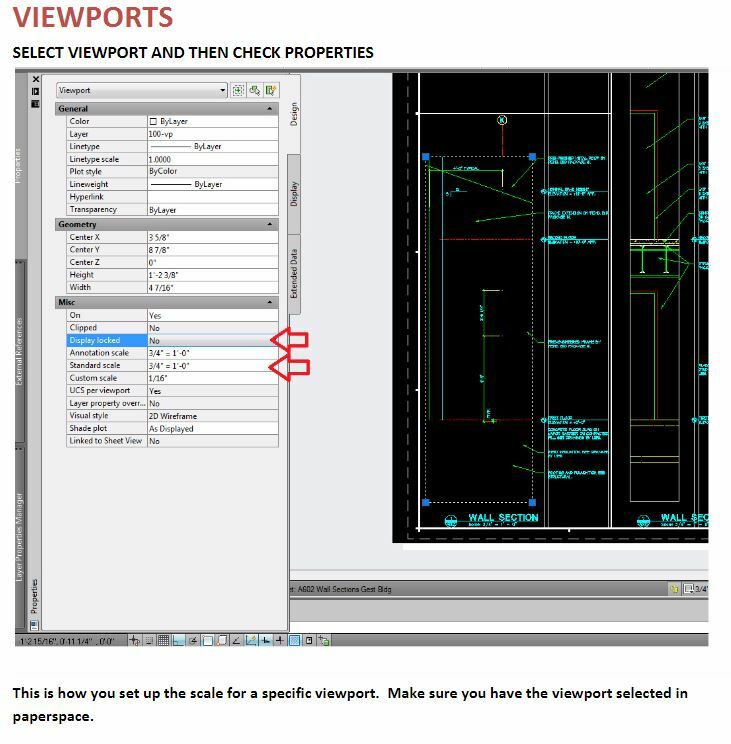 This is probably the best source I have seen (above) that describes all the skills you need to know to really use Autocad and make construction documents. I really like the graphic, because it shows these “islands” of information and the rings or topo lines show different levels to that information. Obviously I am not going to be successful at teaching you the everything you need to know about Autocad, but I will show some basics. 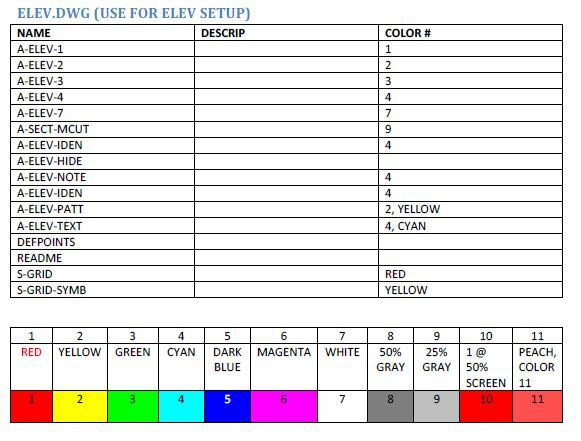 The colors are numbered, so you can choose layer colors in the layer manager (LA command) and you set red as color 1 and that should print the lightest, as default in Autocad. These should coordinate with a plot styles file, or a .ctb file. 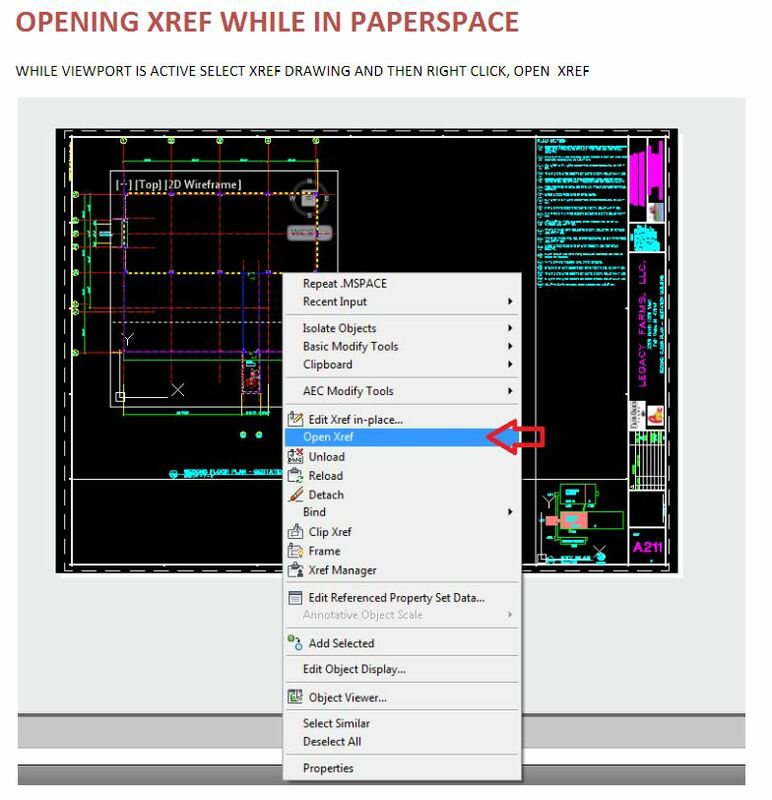 What we call this process is using XREF or XR command, this is using external drawings, that get imported, almost like a block, into another drawing. This is how you can create drawings that might have base layer, and you can draw over these. You might use this to xref in a first floor, and draw the second over the first floor drawing.